hd00:20Cook making dough for pies and pizza. 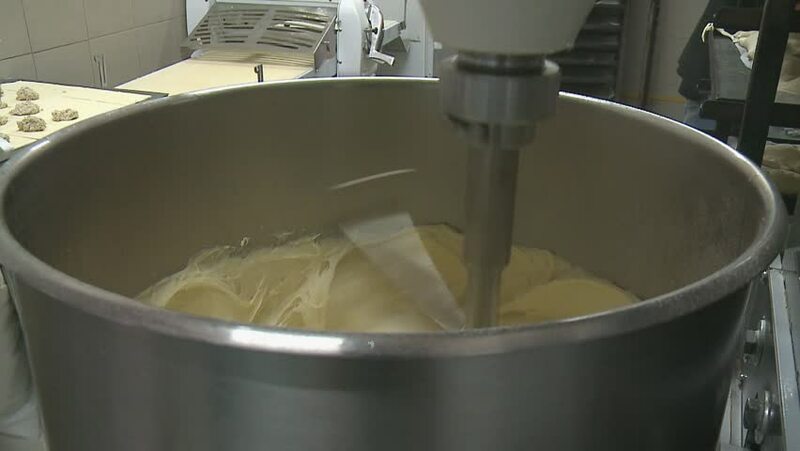 Large volume stand mixer used in commercial bakery to mix bread dough with double sided dough hook. Moscow – 2017.